Care and cleaning instructions to know about so that your Granite countertop will remain a beautiful focal point in your bathroom or kitchen for years to come. ■ The best form of maintenance is frequent, regular cleanings. 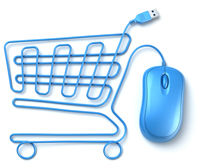 A little bit of cleaning on a regular basis is preferable to a major cleaning on a sporadic basis. 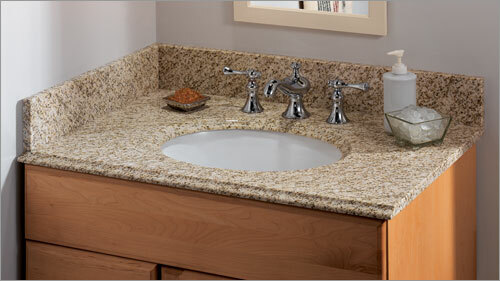 ■ Keep the granite countertop free of any standing water which may build up mineral deposits. The quality of your water can affect the appearance (particularly a designer color such as Green) and this water quality will vary from household to household. ■ Should a mineral deposit build up over time, use a weak solution of vinegar and water to remove the deposit and follow this by flushing the countertop surface with water. ■ To clean your granite countertop, use the mildest cleaning procedure that will do the job effectively. • Use a damp cloth, or sponge with a solution of dishwashing liquid to remove everyday stains from your granite countertop. • More stubborn stains can be removed by scrubbing with an abrasive pad such as ScotchBrite, or any mild abrasive cleanser such as Ajax. • If a stain becomes engrained in the granite countertop, mix a solution of 40 parts water with 1 part bleach (or biological washing powder), and soak the countertop surface overnight. Then rinse thoroughly with water. This is not to be used as a routine cleaning. the granite countertop and can be removed by scrubbing in a circular manner with a soft nylon brush and a liquid soap. ■ Avoid dropping sharp objects onto the granite countertop as they may damage the surface. ■ Always avoid the use of metal scouring pads, or wire wool, as they will leave a metal residue on the surface of the granite countertop. Over time these minute particles will rust and then give the appearance that the surface of the granite countertop has stained. of time. The combined presence of iron and moisture can only lead to staining of the countertop. underneath which could lead to staining and discoloration of the granite countertop surface. containing formic acid (drain cleaner or kettle descaler) come into contact with the surface of the granite countertop. cleaning of the granite countertop surface. ■ Do not use your countertop as a cutting surface. Use a solid wood cutting board for this purpose. 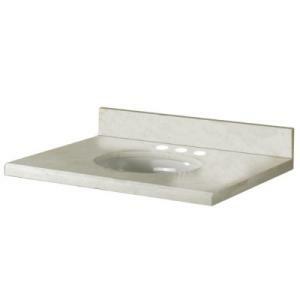 Vanity tops to fit popular vanity sizes. Choose from Glass, Granite, Marble or Swanstone Vanity tops. 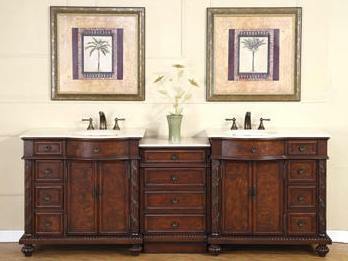 Vanity tops for 24", 30", 36", 48", and 60" bathroom sink cabinets. 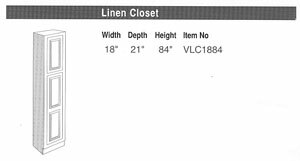 Show me Vanity base cabinets and wall mirrors to fit these vanity Tops. Glass Vanity Tops with integral sink. 8" widespread faucet hole setup ready. Vanity sizes: 24", 30", 36" and 48". 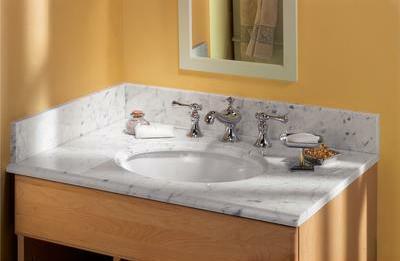 Marble Vanity Tops with White or Biscuit sinks. 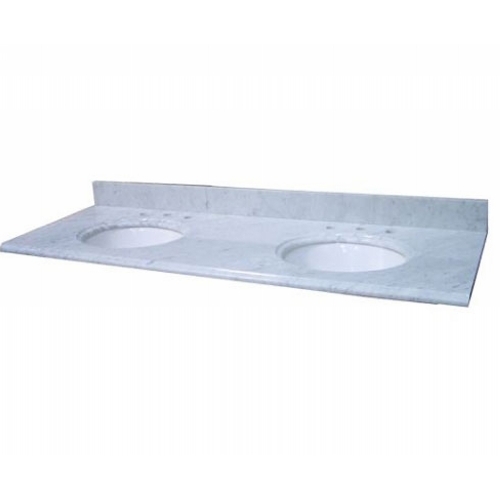 8" faucet hole centers. 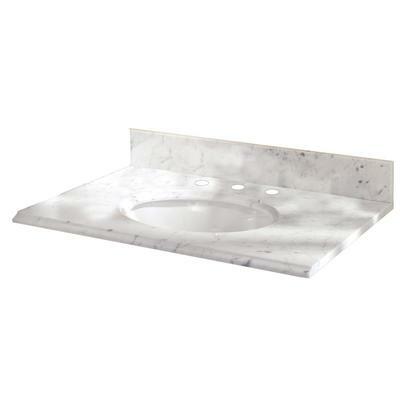 Ships with backsplash, one bowl; sink size: 21" x 16" for 25" and 31" Tops. Vanity sizes: 24", 30", 36", 48" and 60". 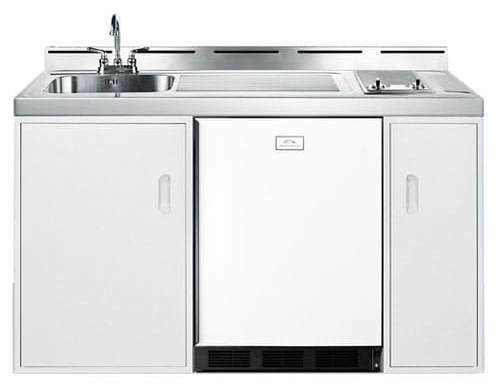 The 60" vanity size is available in a single or double sink configuration. Matching sidesplash: Available for all size tops, optional. 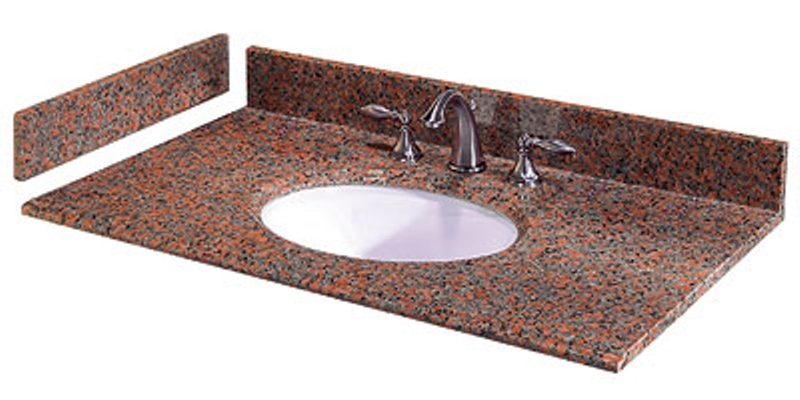 Granite Vanity Tops with White or Biscuit sinks. Pre-drilled for 8" faucet hole centers. Vanity sizes: 24", 30" and 36". 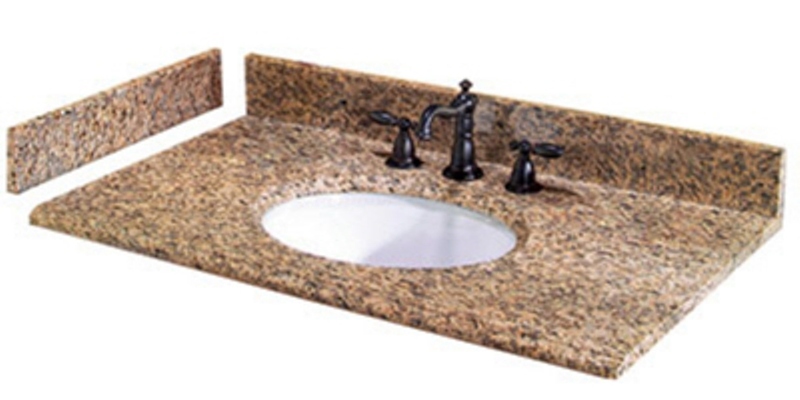 Granite Tops ship with sink(s). Bowl size is 17 1/2" x 14 7/16" x 6" deep. 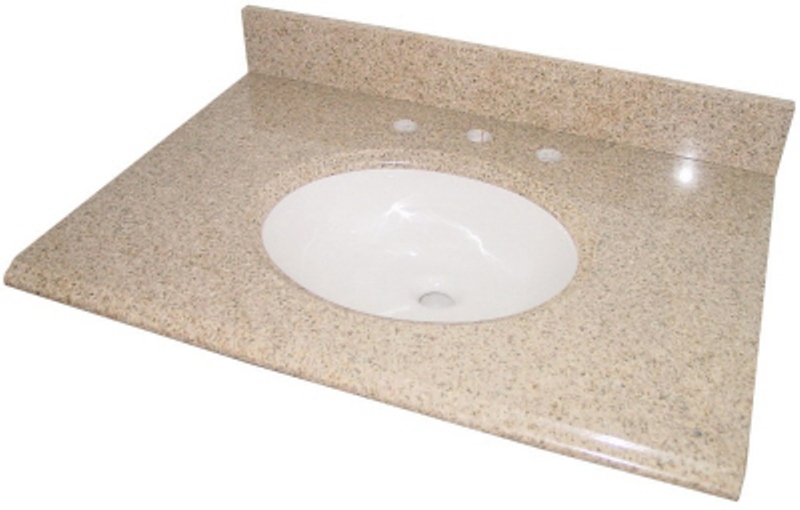 Granite Top Sink Colors: Your choice of White or Biscuit sink colors, same price. 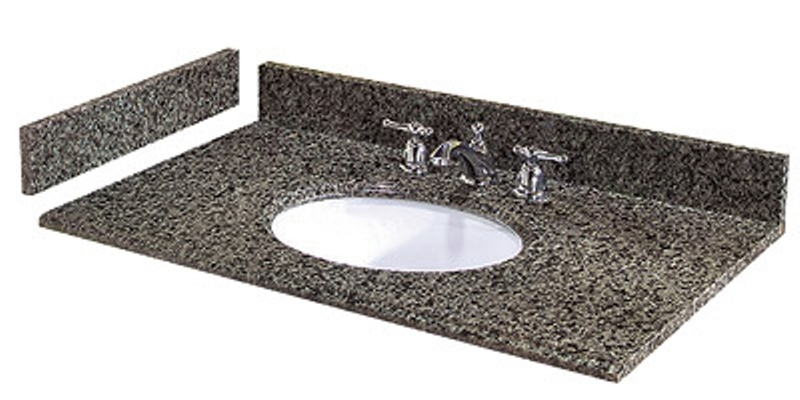 Granite Tops & Porcelain Sinks - 3/4" thick. Ready to install. Finished and polished on the top, front and both sides. White or bisque porcelain bowl with overflow included. ¾” backsplash included. Predrilled for faucets (25" vanity has 4" faucet spread, all others have 8" faucet spread). Side splashes also available. 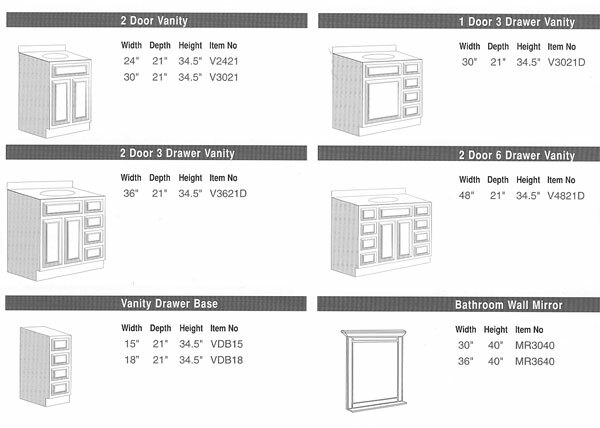 **** Note: Your choice of countertop from the selections shown above. 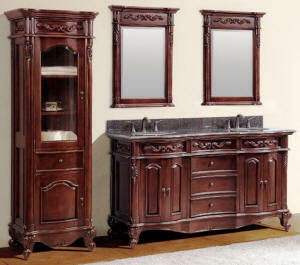 Countertop prices are in addition to the vanity cabinet prices listed above. 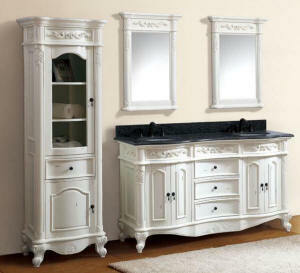 Our Hudson vanity features solid Birch face frames, doors and drawer fronts. It features a cherry stain, creating the look of a rich leather.